If you aren’t sure what to get for your sweetheart this Valentine’s Day, jewelry is probably at the top of her list. If diamonds aren’t her thing or you want to go out of the box, giving her a stunning piece that features her birthstone is a sure way to leave a unique and lasting impression. No matter your loved one’s taste, preferences, or personal style, there’s something that will make her smile. Round stud earrings with your partner’s birthstone are a simple and classic gift that can be a daily addition to your loved one’s wardrobe. They are a personal but timeless piece that are easily interchangeable with many different styles and types of jewelry. Journey pendants are a beautifully modern and bold way to give someone you love something they will be excited to put on day after day. The unique but versatile style is perfect on its own or paired with subtle stud or drop earrings. 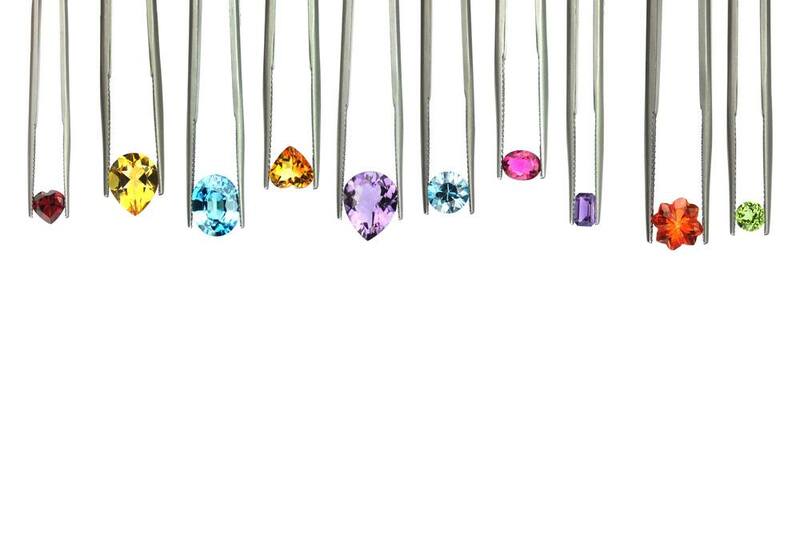 The s-shaped, stacked design is ideal for mixing different gemstones such as a colorful birthstone with clear stones such as diamonds or moissanites. Whether or not your loved one has an April birthday, diamonds are a great addition to any gemstone piece if you want to add some extra sparkle. This shared-prong tennis bracelet includes 43 diamonds and sapphires for the perfect mix of color and clear shine. Marquise gemstones are an eye-catching choice for any piece of jewelry, and they are especially vibrant when paired with small, glittery accent stones. If she’s someone who loves delicate and dainty jewelry that makes a statement, this is the bracelet for her. If you want to find a jaw-dropping gift for someone with classic personal style, a vintage-inspired bracelet that focuses on her birthstone could give her a smile from ear to ear. A bold bracelet is great for someone who would love to turn heads for every special event and night out. Rings have become synonymous with weddings and engagements, but they can still be a great Valentine’s Day gift regardless of the status of your relationship. A three-gemstone trellis ring is vibrant and bold, but it’s also simple enough to fit in with other eye-catching pieces such as a statement necklace or heavy drop earrings. Bangles are contemporary but timeless pieces that make for lovely gifts, even for those with minimalistic tastes. 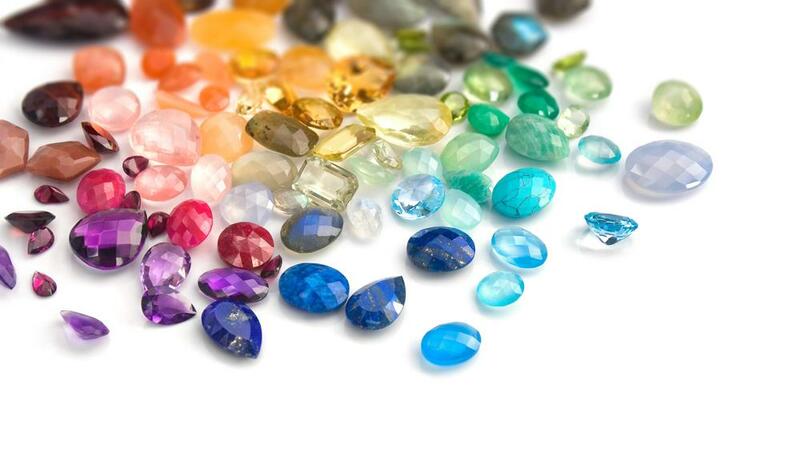 Adding a row of your loved one’s birthstone gives it a bit of personalization without adding too much weight. For April babies who aren’t too interested in diamonds, moissanites are the perfect alternative for a similar look and feel. Adding a halo of small stones is an elegant touch that adds row of brilliant sparkle for a gift that’s perfect for just about any occasion. What’s a better way to show your loved one how much you care than by giving them a gift full of x’s and o’s? This swirl bracelet is playful and bright, but also seamlessly classy. Whether she wants to wear it to work or a wedding, it will surely fit into her ensemble. If your loved one has a more contemporary style, geometric shapes with sharp angles are the perfect element to focus on. This design uses oval gemstones and small, round diamonds to connect wide, diamond-shaped links. Regardless of her lifestyle or individual aesthetic, birthstone jewelry is a simple way to give her a personalized gift that will warm her heart and drop her jaw at the same time.